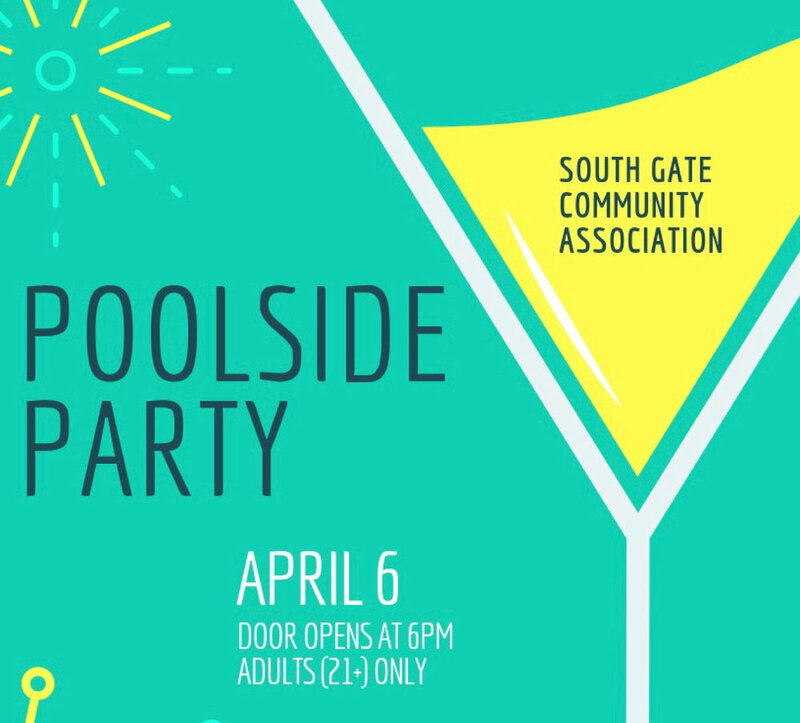 Get to know your South Gate neighbors at the SGCA Poolside Party! Doors open at 6pm. Free admission for South Gate residents and friends.